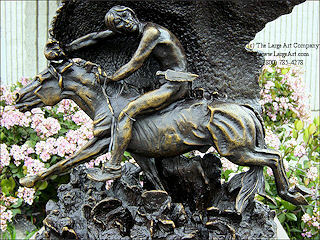 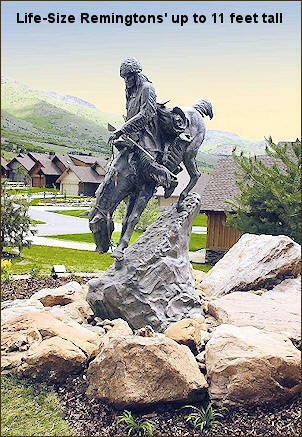 The Horse Thief was a successful bronze sculpture despite Frederic Remington's concern that the different textures would not translate well in bronze. 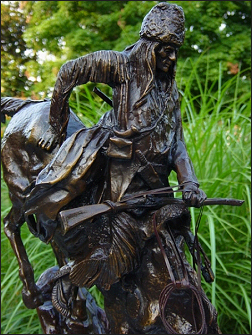 The smooth texture of the horse and rider contrasted with the rough buffalo hide and base. 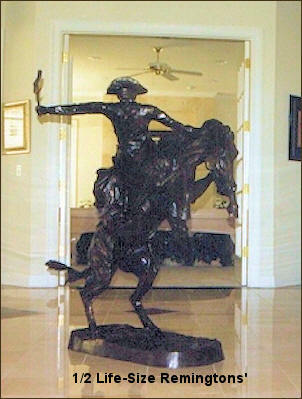 The original measured 23" in height, and was completed in 1907.